So you have completed part 1 of this tutorial and are now eager to know how to write an awesome frontend for it. 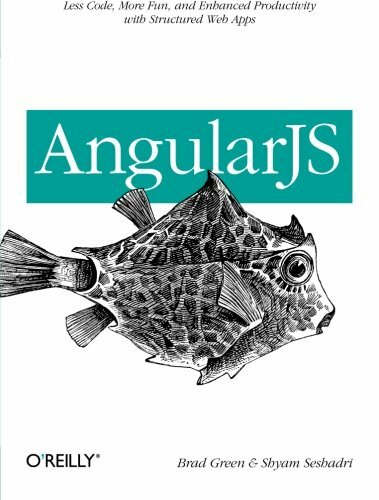 Well, good news: In this tutorial I will give you a crash course in AngularJS which is Google’s interpretation of a MVVM (Model View ViewModel) / MVC (Model View Controller) framework. You can download AngularJS directly from Google or use it via a content-delivery-network (CDN). Depending on your custom settings you made while downloading AngularJS you will have either a minified or an uncrompressed version of AngularJS. For development purposes I recommend using the uncompressed version. Inside your downloads folder you will have a angular.js file. Copy that file to YOUR_DESKTOP/kamn-angular/js/angular.js. Check out Google’s CDN for more versions. You might wonder why there is no http:// or https:// in front of the URL. That’s because it’s a protocol relative URL populated by Paul Irish. Line 1: First up, we created a new angular module called “kamn”. The second argument of angular.module takes a an array with dependencies which our module would need. Since our module has no dependencies we just pass an empty array. Line 3: We create a KamnCtrl for our module. The controller needs a $scope which is injected. We can overcome this problem by annotating the function with the names of the dependencies, provided as strings, which will not get minified. Line 4: We set a new property message to “Hello AngularJS” to the $scope object. The $scope object can later be directly accessed in out template. If you now open index.html in a browser “Hello AngularJS” should be displayed. I also created a JSFiddle containing the example if you encounter any problems. Note: AngularJS uses two way data binding. You could use an input field with ng-model to modify a value on-the-fly. Check out this JSFiddle for a simple example. For this part of our little AngularJS application, I assume that you have completed part 1 of this tutorial or have a REST api running which responds to /users and returns an array. First we add a new dependency for the $http service to our controller. Then we initialize an empty array which will later contain our users. We then define a fetcher for our users which uses the $http.get method which will return a Promise. On success we set $scope.users to our newly fetched data and on error we log the error in the console. I think it’s pretty much self-explanatory. That’s it! You have successfully connected your very first AngularJS application to your REST api.